With the arrival of the F7 in 1949, EMD had exactly what railroads needed to begin dieselizing with a vengeance. Geared for freight or passenger service, they were equally at home in either assignment. Over the next four years EMD built over 2200 A and 1400 B units, delivered in a rainbow of schemes for nearly every railroad in North America. Tough and durable, many soldiered on into the early 70s and several are preserved. 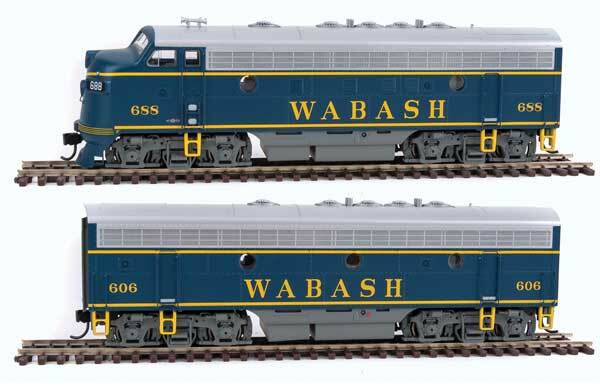 Copy this EMD F7 A-B Set to your MY LOCOMOTIVES roster.